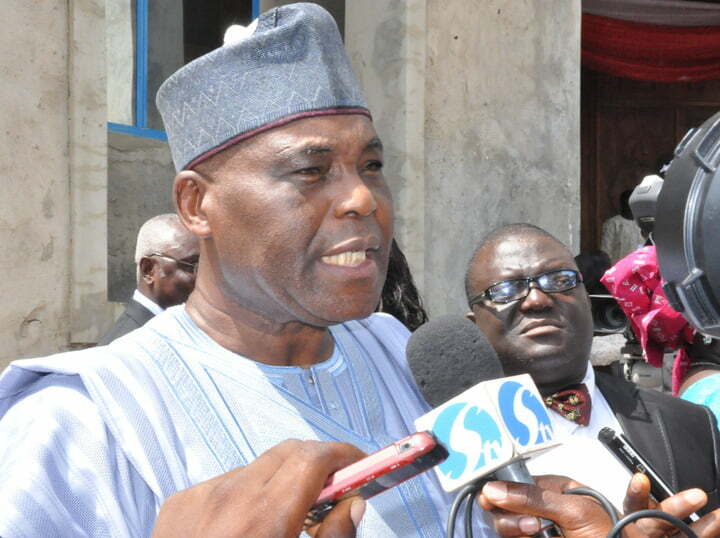 One of the national chairmanship aspirants of Peoples Democratic Party (PDP), Chief Raymond Dokpesi, has promised not to tolerate any form of imposition and impunity if given the opportunity to lead the party. Dokpesi made this promise when his team paid a visit to the Oyo State PDP Secretariat in Ibadan on Wednesday. According to him, one of the reasons some stalwarts of the party left the party was as a result of impunity and imposition of candidates. He said ” I would not be part of impunity and imposition in PDP. “We shall in ten days time contest the election as chairman of the PDP. Let me congratulate the delegates for the congresses at the ward, local and state congresses to have a unified and one single party. “We lost Oyo State because we are not united. If we added votes of everybody, PDP would have won Oyo state. “So I want to appeal to you, I want to work with you to be able to win the 2019 elections as chairman of PDP. “So, let us stop fighting, let us choose the person that will be best as chairman.